As brilliant as he is talented, comedian Trevor Noah plays two shows at the Pechanga Theater May 10. 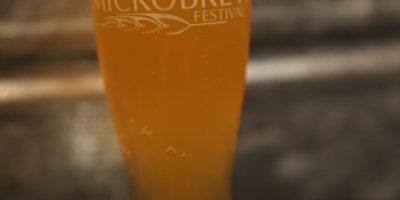 TEMECULA, Calif. – (April 15, 2019) – Doing a little partying for the Kentucky Derby and Preakness Stakes is one reason why May days at Pechanga Resort Casino don’t need an SOS – but an OTB. Then, there’s basking in the Mother’s Day Bingo Bash, baking in some Memorial Day Hot Seats and making a beeline to see one of America’s hottest comedians and one of Australia’s best tribute bands. 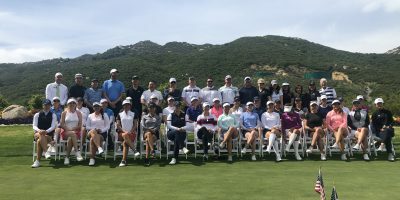 The entertaining May days at Pechanga begin on Saturday, May 4 at the value-oriented Pechanga OTB, which plays host to its second Kentucky Derby party. 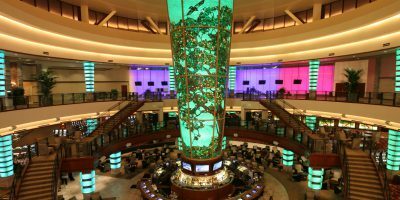 Last year’s inaugural Derby bash was an unqualified hit, with all 72 seats sold out and overflow crowds in the Round Bar and Pechanga Poker Room watching Justify win what became the first leg of his historic Triple Crown. For $25 for each race, guests can guarantee a seat for three of the biggest days of racing. That gives racing enthusiasts a prime seat to watch and wager on the Kentucky Derby (May 4), Preakness Stakes (May 18) and Belmont Stakes (June 8). Seats for viewing and wagering will also be available in the Round Bar on a first-come, first-served basis. In between the Derby and the Preakness is Mother’s Day. On top of treating Mom to a smorgasbord of delectable culinary choices at one of Pechanga’s 13 restaurants, treat her to a comfortable seat in the Pechanga Bingo Room for the annual Mother’s Day Bingo Bash. 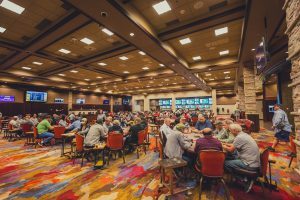 Always one of the most popular events in the palatial 700-seat bingo room – which is unlike any bingo room Mom has ever seen – the Mother’s Day Bingo Bash offers a guaranteed $40,000 in cash and prizes. Tickets start at $40 for pre-sale paper buy-in and $75 for pre-sale electronic buy-in. Electronic pre-sale buy-ins receive a 36-card upgrade. In May, Pechanga Poker & Ponies is the site of a $50,000 guarantee poker tournament and a great place to watch and wager on the Kentucky Derby and Preakness Stakes. The winning at Pechanga continues throughout the month for Pechanga Club members playing their favorite slots or table games from 3 p.m. to 9 p.m. on Saturday, May 18, because it’s Time To Win that day. Starting at 5 p.m. one Club member will win $1,000 in cash. At 6 p.m., two Club members will walk away with $2,000 and one hour later, at 7 p.m., Pechanga is giving $3,000 to three Club members. The winning ramps up at 8 p.m. with four Club members taking home $4,000 and culminates at 5 p.m. with five lucky Club members winning $5,000 each. The number of entries is based on Club level. Silver members earn one time their entry, Gold three times, Platinum five times and Red eight times just by playing their favorite games. And multiple winning is possible, especially since every five minutes from 5 p.m. to 8 p.m., two Club members find themselves in the Hot Seat – and $100 in EasyPlay richer. That Hot Seat gets hotter on Memorial Day, Monday, May 27, with Memorial Day Hot Seats. Every five minutes from 10 a.m. to 6 p.m. two lucky Club members will win $100 in EasyPlay. 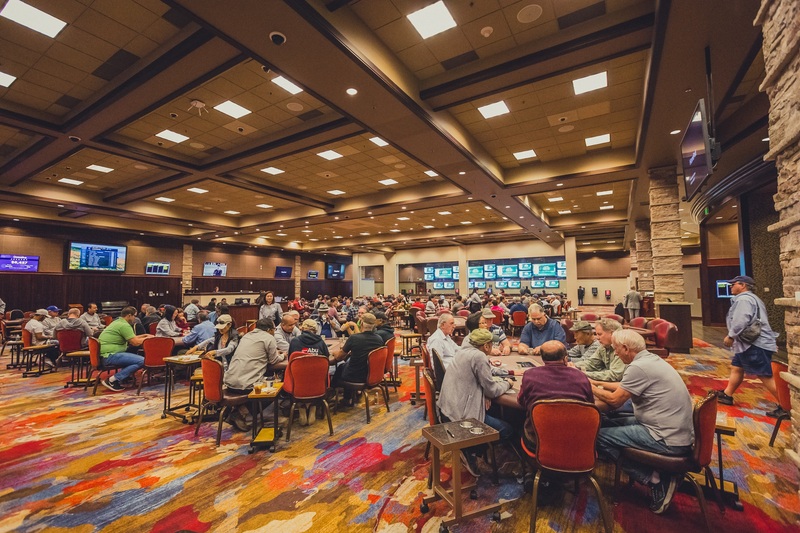 Don’t forget that poker and bingo players are eligible for Club perks and comps, based on their play. That further solidifies why it is a great idea to become a Pechanga Club member for free. Stop by the Pechanga Club desk on the main casino level and you will be on your way to earning. Visit www.Pechanga.com or call (877) 711-2946 for more information. There are plenty of hot seats available in the Pechanga Theater and Pechanga Summit for May’s entertainment lineup, which features performers from Mexico, the Philippines, South Africa and Australia. It begins on Saturday, May 4 in the Pechanga Summit with Pepe Aguilar and his captivating blend of Tejano and modern pop music. One day later, on Sunday, May 5, the eclectic talents of Vice Ganda take the Pechanga Summit stage. The multi-talented, multi-faceted Ganda is a Filipino stand-up comedian, talk-show host, actor, recording artist and writer and his comedy has opened eyes among comedy fans all over the world. As has the comedy talents of Trevor Noah, who plays two shows at the Pechanga Theater Saturday, May 10. 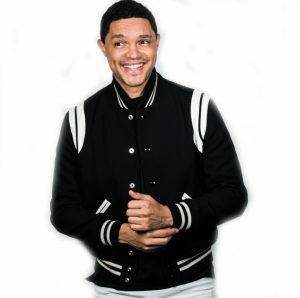 Named one of the 100 most influential people in the world by Time Magazine and the wildly popular host of Comedy Central’s “The Daily Show”, Noah is not only considered one of the preeminent social commentators of our time, but he is an accomplished author of a New York Times bestseller – “Born a Crime: Stories from a South African Childhood”. Wrapping up May’s entertainment slate are the Australian Bee Gees, who bring their successful tribute to the Brothers Gibb to the Pechanga Theater Sunday, May 11. Disco lives in a 75-minute performance that extends Saturday Night Fever to Sunday night with all of the Bee Gees’ greatest hits and their distinctive style. Tickets for all of these events, including the Kentucky Derby at Pechanga OTB and the Mother’s Day Bingo Bash, are available at the Pechanga Box Office or by visiting pechanga.com.